Samsung’s latest flagship handsets for 2018: the Galaxy S9 and Galaxy S9+ are finally here. In terms of design, the handsets look the same as their predecessor but sport some major internal upgrades. 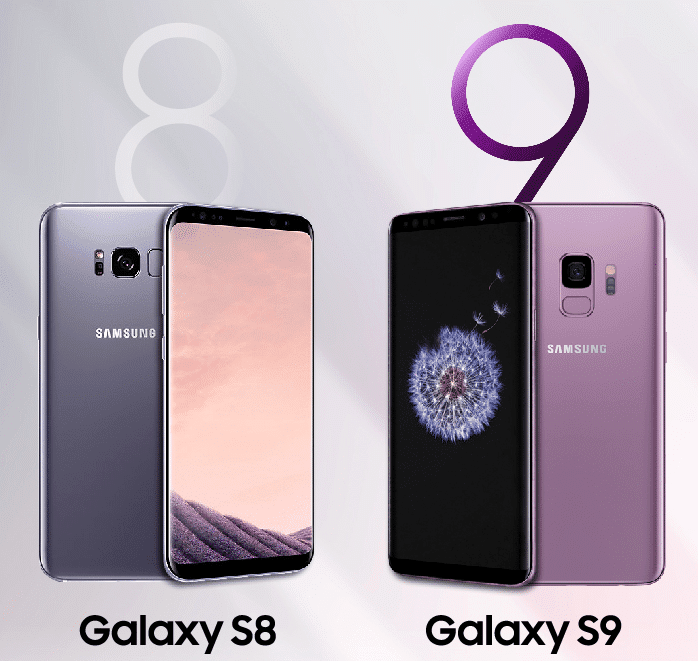 If you are wondering how the Galaxy S9 stacks up against its predecessor, the Galaxy S8, check out our Galaxy S9 vs Galaxy S8 specs comparison. From the front, you will be hard pressed to distinguish between the Galaxy S8 and Galaxy S9, though the vertically placed camera setup at the rear does give the S9 away. Internally though, there’s nothing common between the two handsets with every aspect getting a huge update. Click on the infographic if you can't see properly. As you can see from the comparison above, the Galaxy S9 is a major upgrade internally over the Galaxy S8. The handset promises to deliver a more refined and overall better experience than the Galaxy S8 thanks to its more powerful internals and other user-facing changes like the repositioned fingerprint scanner, improved face unlock, and stereo speakers. The variable aperture rear camera also promises to take smartphone photography to a whole new level and challenge the likes of the Pixel 2.